You didn’t know me and you didn’t know my story. 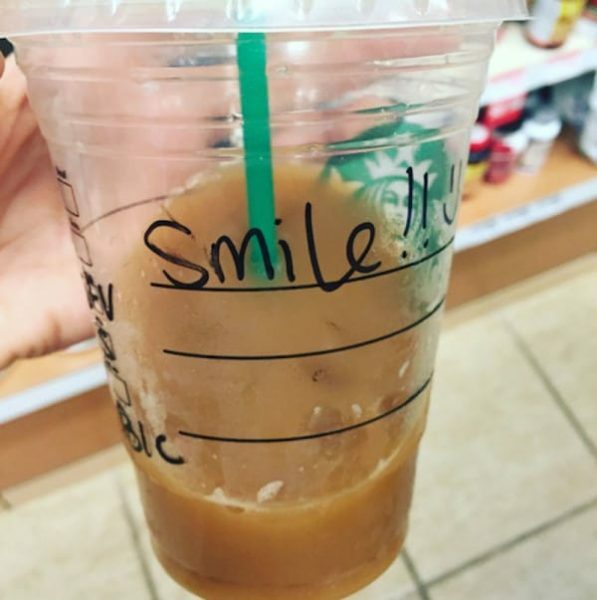 Most importantly, you probably didn’t know writing the simple word “smile” on my order would change my day for the better. When you look at me, you might assume I’m happy, bubbly, outgoing and full of life. But you don’t really see the complete me. You wouldn’t know that behind this plastered smile is a girl who has broken and fallen to pieces. You wouldn’t know this girl had so much self-hate, she starved herself for over half her young life. Or that she’s tried to end her own life five times. I’m guessing you didn’t know these past few weeks, and that day particularly, had been extremely hard. You were just going about your job, unaware that writing a minuscule word on my drink would change my day and possibly my life. 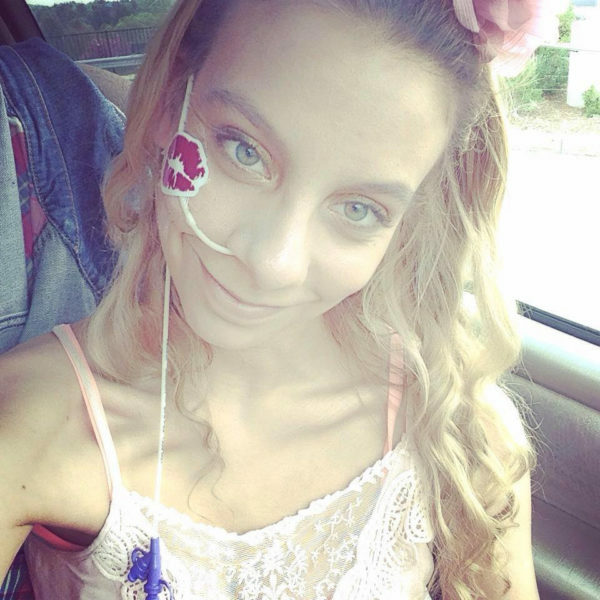 Maybe you wrote ‘smile’ on my drink because you saw the feeding tube. Or maybe you could see past my fake smile because you’ve been where I am. Either way, I’m grateful. You didn’t have to make my order special. You could have treated me like another annoying customer. But you took that extra second to add some positivity to a life that’s been filled with so much negatively lately. You see, my day consisted of a horrible doctor’s appointment and a horrible therapy session. I was filled with hopelessness, and my suicidal thoughts were getting worse. When my anorexia is bad sometimes coffee is the only thing I can drink. But I was afraid to consume even coffee that day. If I hadn’t encountered that cup, I could have done more damage to myself that night. When I read that word, I couldn’t help but smile, literally. A simple act of kindness can mean the world to someone. It can provide hope for the hopeless. Bekah recounts a particularly difficult day when life seemed too hard to bear. Those terrible, tragic suicidal thoughts came flooding back to her. In the midst of it all, Bekah went to her local Starbuck’s for a cup of iced coffee and then her life changed! With one simple word written on her coffee cup. One word we should all be reminded of daily. One POWERFUL word that has a potential to make the word a better place! We are all in this life together. We all love and we all lose. At least we can be here for each other and smile. Remind ourselves that it’s alright! It’s like a chain reaction, if you smile to someone, they’ll smile to others. Your smile can mean a world to someone. You might even save someone’s life!